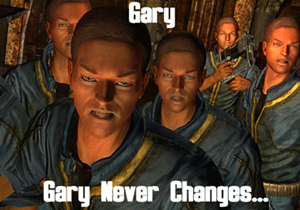 what's your favorite mod, except fallout mods? Kick back and discuss whatever takes your fancy. Re: what's your favorite mod, except fallout mods? There's a lot of mods for Half Life that I really liked, too many to name. Sven Co-Op being the most prominent I think. A lot of people hate Brutal Doom, but I thinks it's a change of pace and kinda fun. Sven Co-op, now there's a blast from the past. I haven't thought about that one in ages. It was good times. I can't play Mass Effect 3 without the Expanded Galaxy Mod. If there's anyone around who's into Mass Effect but hasn't tried modding it, I'd recommend giving it a shot. Some neat things have been created for those games. Any Fallout fan that hasn't played the Stalker games should really consider playing them. Not quite an RPG but a great post apocalyptic game nonetheless. Enderal. That's more of a stand alone game with Skyrim's assets and on it's engine rather than a mod. TNG and Discovery mods for the Freelancer. Skyrim mods, hard to name just a few favorites, it's more like a whole vast toolkit of mods to pick and choose from for different kinds of playthroughs and/or different character concepts. Oldrim with various MO profiles seems like the best option with widest variety of mods available still, but mod support for SE 64bit version is slowly improving. Nightstalkers Universe for Freelancer. Spent so many hours playing that. Armada III for Sins of a Solar Empire Rebellion is also fantastic if you like Star Trek and RTS's.